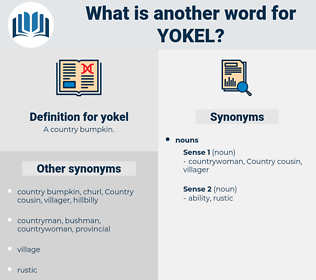 What is another word for yokel? metropolitan, suburbanite, slicker, sophisticate, smoothy, cosmopolitan, cosmopolite. 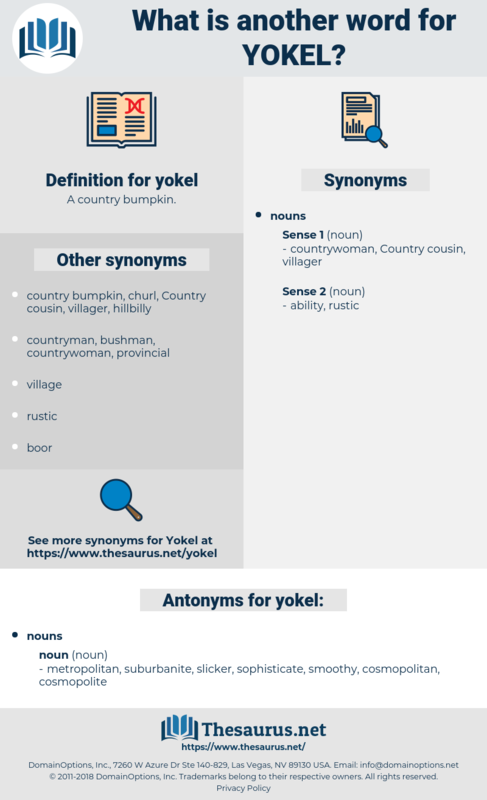 Here's to you, you sweet little yokel. What swain or yokel had not a meed of praise for the monarch when he beheld this burden of good cheer, and, at the end of each board, elevated a little and garlanded with roses, a rotund and portly cask of wine, with a spigot projecting hospitably tablewards?